When is the best time to trim back my grapevines? And how far can I prune them back? They are on an arbor and have grown very thick. They did not produce much fruit last year. The best time to trim back any grapevine is roughly March to early April. The object is to minimize sap bleeding from pruning cuts. Sap is what feeds the new growth that will produce your fruit. Grapes are borne on new growth that arises from last year’s wood. Once the sap begins to run, the bleeding from pruning cuts is difficult to stop. It appears your vines need thinning, as evidenced by their thick growth and lack of fruit. Grapevines are very long-lived. The permanent stems, or “rods,” can become very thick and aesthetically gnarled. However, they can still produce strong new fruit-bearing shoots. The key is to restrict the vegetative growth so that fewer but finer bunches of grapes are produced. 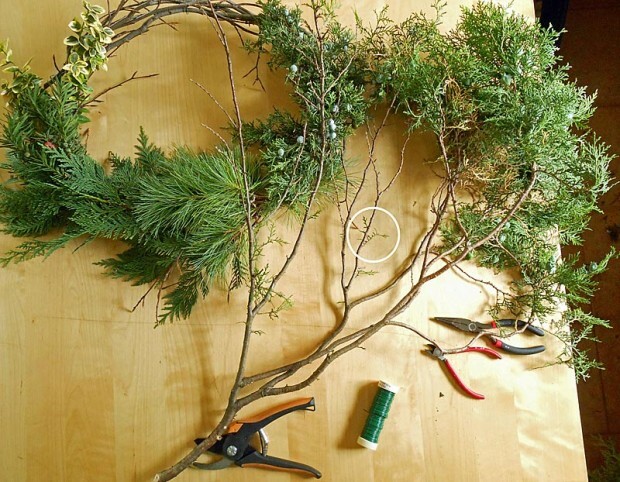 Depending on the number of permanent stems on your arbor, remove much of the extended vine growth to leave two or three strong stems per permanent rod. Then cut those stems down to one or two strong outward-facing bud nodes. From these swollen bud nodes will come the strong shoots that will produce fruit. When cutting to buds, always cut beyond the swollen node to prevent structural damage to the stem. Once new growth begins, watch for excessively long young shoots. Prune these green vegetative shoots away to just above their node. An ongoing exercise throughout the growing season, this pruning will concentrate sap into the main fruiting stems and allow air to circulate and more sunlight to reach the fruiting vines. Without vigilance, you get the indiscriminate tangle currently occupying your arbor. How much do you trim lavender bushes? Mine are getting rather leggy and sprawling. When is the best time to prune them? Let’s assume these are English lavender plants (Lavendula angustifolia), since these are hardy and the most popular in our area. There are many varieties of English lavender, but all have the same basic care. There may be several reasons why your lavender plants are getting leggy and sprawling, including pruning, water, light, and soil. Pruning is essential for lavender. Pruning is not the same as harvesting. When flowers are harvested, typically not much of the plant is removed. Growers prune plants twice a year: very early spring (April) and after they bloom. Lavender will become leggy and flower production will decrease significantly if it isn’t pruned quite hard. Prune down to three nodes on the new growth above the old wood, which looks gray and isn’t flexible. The plant is usually trimmed to a dome shape to let in lots of light and to help the air circulate. April is a good time to do this. 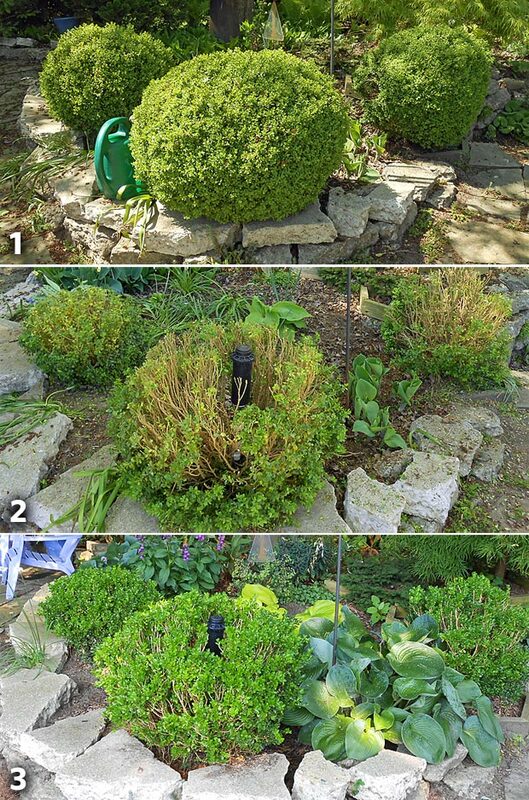 Then do another trim in late summer to early fall. If you happen to prune at the wrong time, don’t worry, the blooms will be back even stronger next year. Another factor that contributes to a leggy, sprawling plant is overhead watering, or too much water. Lavenders are very drought tolerant, especially after they are established. Watering should only occur as a supplement for hot, dry weather and they should not be placed where sprinklers water daily. In a typical Michigan summer (no droughts or periods of high temperatures), no watering at all may be needed. Light, as in full sun, is essential. Picture the open fields of lavender in Provence, France. Lavender doesn’t need a special soil, so long as it is very well-drained, even sandy. Very rich, clay or damp soil is not recommended. Is Caryopteris a perennial or a shrub? It doesn’t seen to die back all the way to the ground, but seems like it does have some deadwood on it each spring. I never know how and when to prune it. Caryopteris, commonly known as bluebeard spirea or blue-mist spirea, is really a woody shrub in more southern areas of the country. Here in Michigan we should consider it a woody perennial since the amount of spring dieback will vary with the severity of the previous winter. 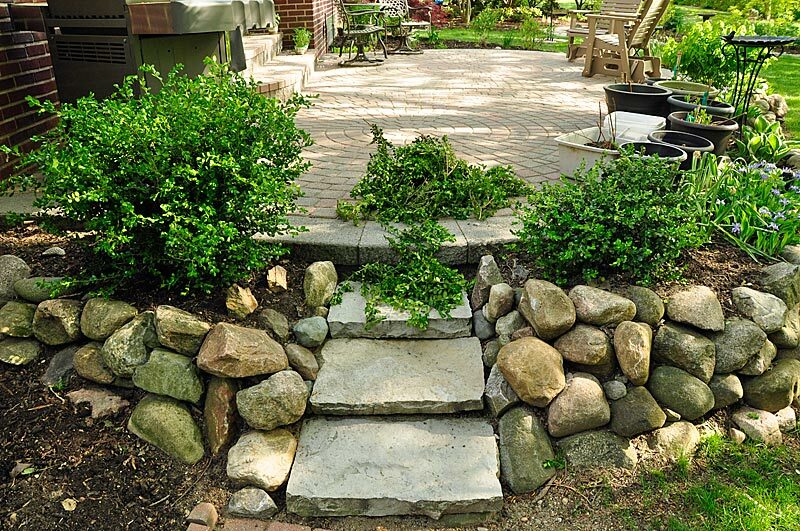 Many other shrubs commonly grown in our area can be treated in a similar manner. These include: butterfly bush (Buddleia), beautyberry (Callicarpa), bushclover (Lespedeza) and Hypericum. Prune all of the stems down to 6 to 8 inches in early to mid-April. 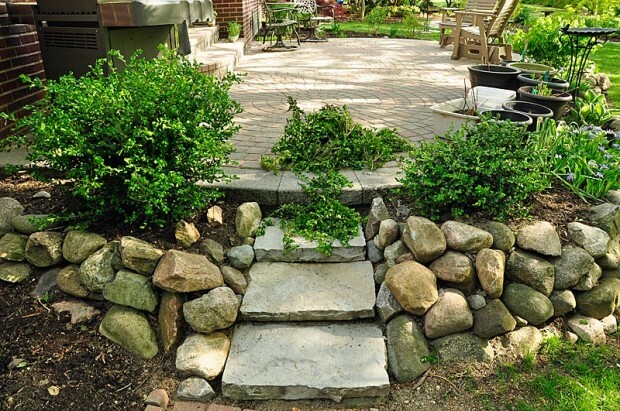 This keeps your shrubs approximately the same size each year since they begin their growth from the same starting point. Wait until May when buds begin to swell and growth emerges. Any wood that remains inactive can be pruned off at this time. Scratching the bark with your thumbnail will also reveal where green living wood merges into brown tissues where dieback has occurred. An intermediate approach (especially useful after mild winters) is to prune the plant back in April by about one-third to help the shape and overall neatness. Wait until growth emerges later in May, then prune off any winter dieback that remains. Methods 2 and 3 will allow the shrub to gain additional size each year as long as winter conditions allow.